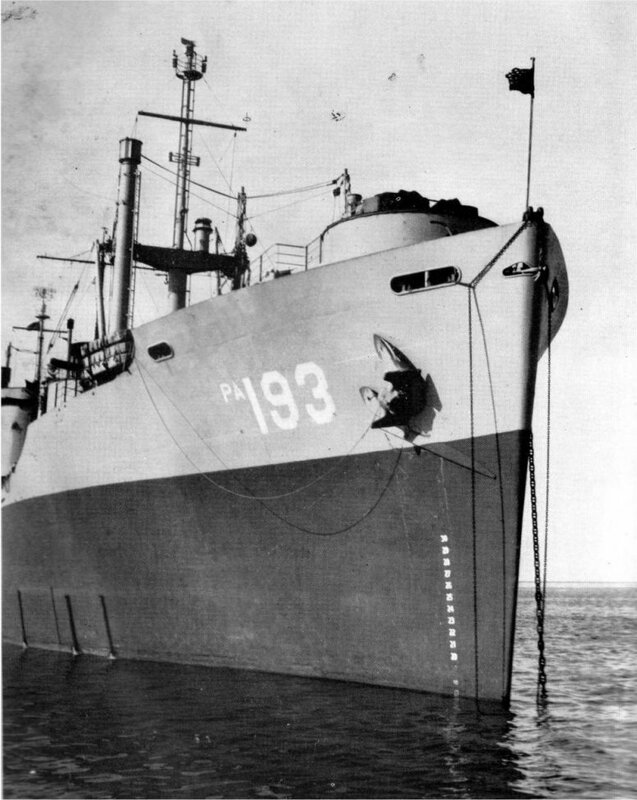 Laid down, 10 March 1944, as a Maritime Commission type (VC2-S-AP5) hull, under Maritime Commission contract (MC hull MCV 661), at Kaiser Shipbuilding Corp, Vancouver, WA. Decommissioned, 14 August 1946, at Mare Island Navy Yard, Vallejo, CA. Laid up in the Pacific Reserve Fleet, Stockton, CA. 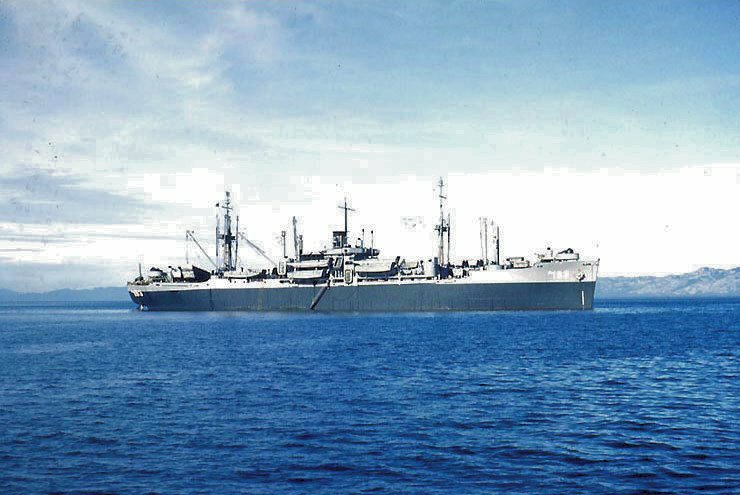 Recommissioned, 6 January 1951, at San Diego, CA. Decommissioned, 11 May 1956, at Orange, TX. 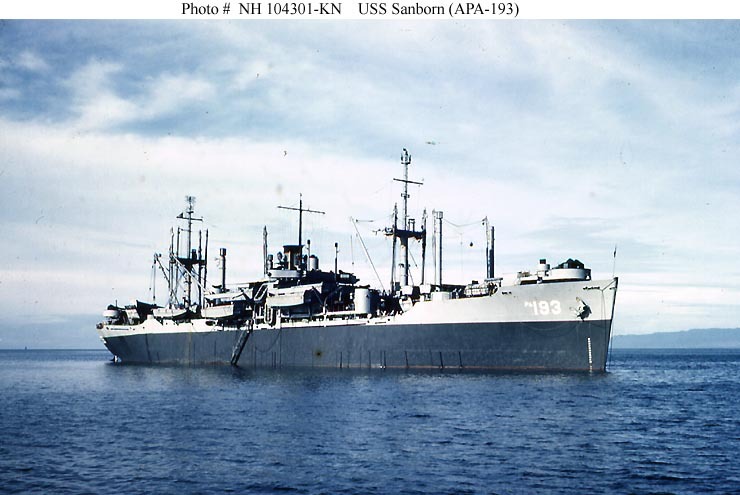 NH 104301-KN (color) 66k USS Sanborn (APA-193) at anchor circa late 1944 early 1945. 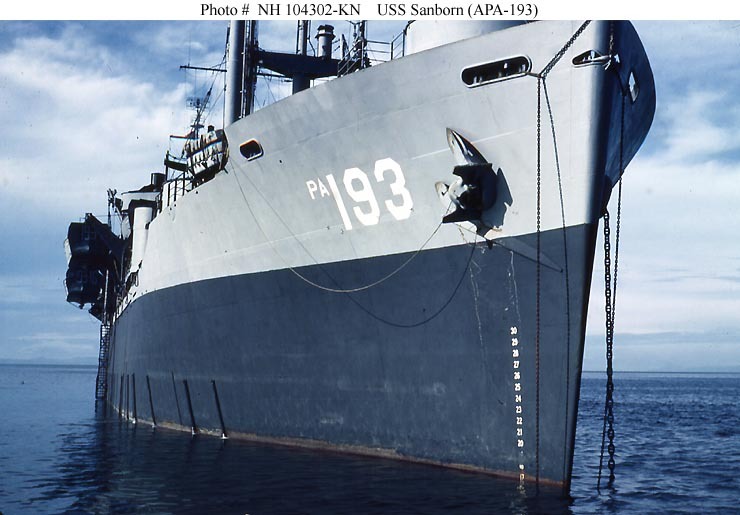 Original 35mm Kodachrome transparencies, photographed by LT.Howard W. Whalen, USNR, Boat Group Commander, USS Sanborn (APA-193). 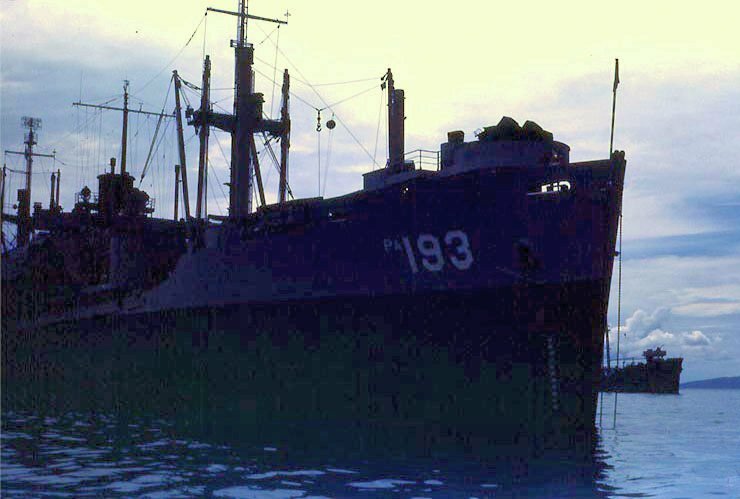 NH 104383-KN (color) 89k USS Sanborn (APA-193) in harbor at dawn or dusk late 1944 - early 1945. 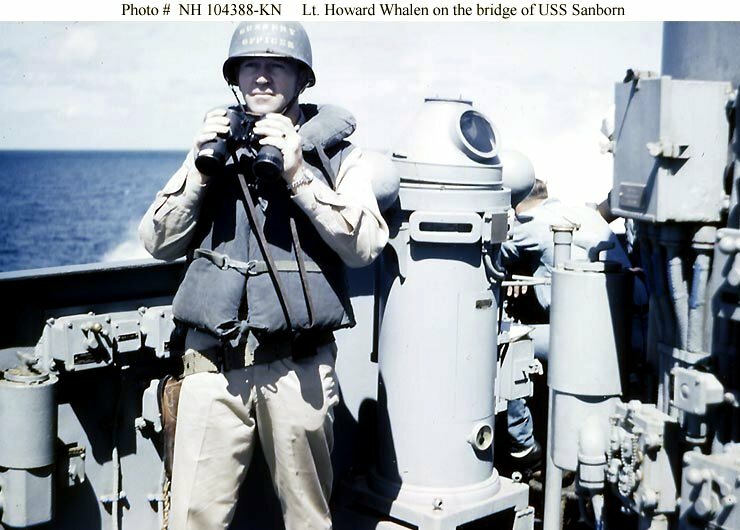 Original 35mm Kodachrome transparencies, photographed by LT.Howard W. Whalen, USNR, Boat Group Commander, USS Sanborn (APA-193). 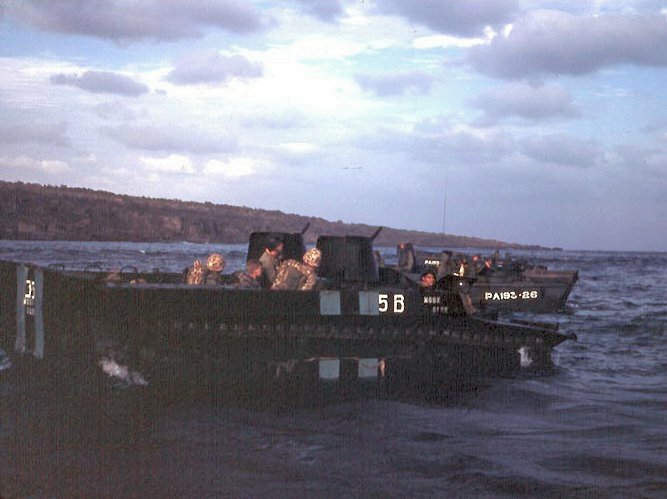 NH 104318-KN (color) 57k A Marine amphibious tractor (LVT) off Iwo Jima, February 1945. 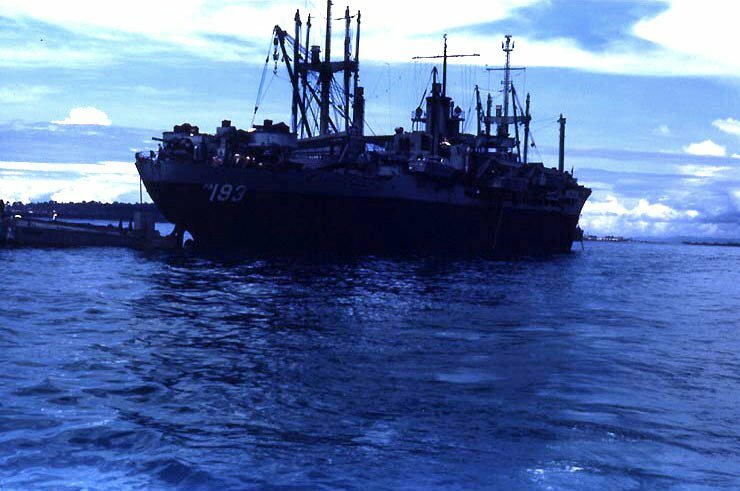 LCVP PA193-26 from USS Sanborn (APA-193) is in the background. Note marking "5B" and nickname "Moon Glow" on this LVT. 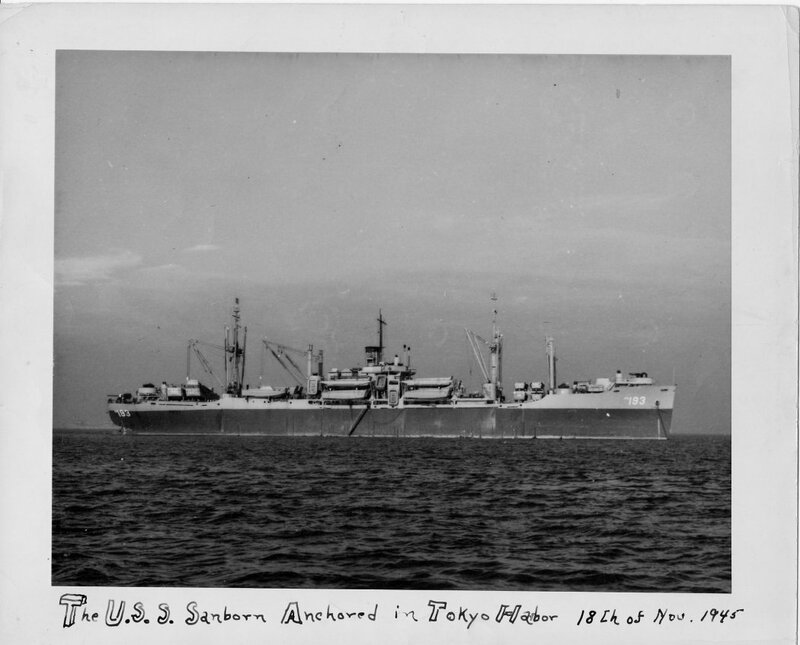 Photographed by LT.Howard W. Whalen, USNR, Boat Group Commander, USS Sanborn (APA-193). 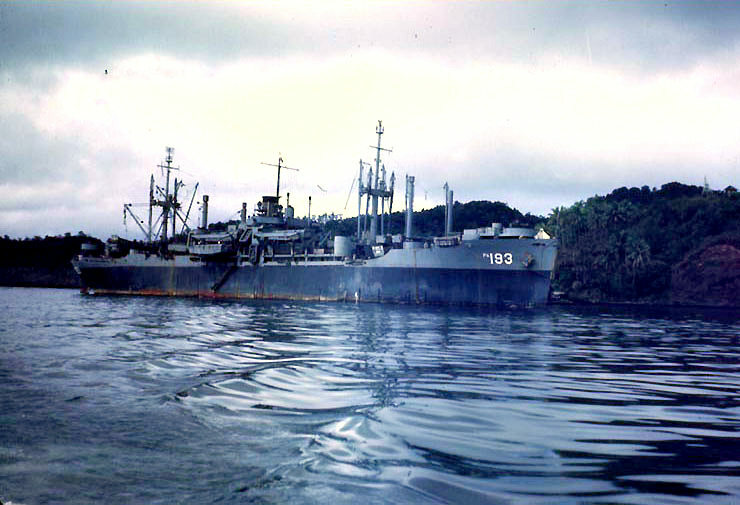 138k USS Sanborn (APA-193) anchored, date and location unknown.